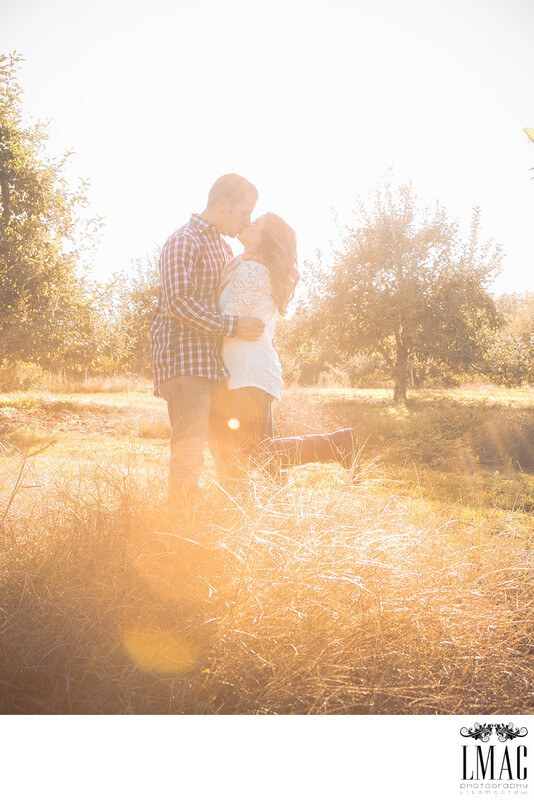 Fall is one of the most popular times for both weddings and engagement sessions in NE Ohio. NE Ohio has so many beautiful locations for photography that it's sometimes difficult for couples to select one. This beautiful couple opted for an apple orchard in the Akron Ohio area. Some beautiful lighting added to the ambiance of this image. LMAC Photography always encourages brides and grooms to select locations that is meaningful to them as a couple. LMAC Photography also encourages every bride and groom to do an engagement session because not only is a wonderful way for us to get to know each couple, but it's a dry run for the bride and groom to know what to expect on their wedding day in terms of the wedding photography.